Testosterone levels: What is it and how to check your levels? Testosterone levels are how high or low the amount of this hormone is within your body. Levels are extremely important to keep in normal range throughout the years. They will start high and healthy and slowly begin decreasing sometime after the age of 30. This is when symptoms can happen and begin to impede upon quality of life. So, how do you know if you have low testosterone levels (or low T) that is causing your health issues? How do you check your levels? The only accurate way is through blood testing. Blood testing is the only way to get an accurate read on T levels in the bloodstream and to determine if they are low enough to possibly qualify for testosterone replacement therapy (TRT). Other factors that come into play to determine if TRT is right for you are the results from a physical examination, your medical history and any current medical conditions with which you may be dealing. TRT is only for those over 30, who are otherwise healthy adults. They cannot be athletes or those looking for a weight loss program or a way to increase their sexual drive or ability to perform. Qualified patients will be dealing with weakness, lethargy, low energy, low sexual drive, erectile dysfunction, depression, forgetfulness, loss of memory, balding or other issues dealing with aging. Blood testing is the only way to get an accurate reading on T levels in the bloodstream. All of these elements need to be in place in order to get safe, legal and effective treatment that will make a very noticeable difference in your life. Never work with a clinic that avoids answering your questions, does not require testing, uses questionable injections, offers any oral medications, does not require a diagnosis of low T by a licensed physician and does not give prescribed injections. It is very easy – only work with reputable testosterone replacement therapy clinics. Testosterone Levels: What Levels Do You Have? Different clinics will have different ranges of testosterone that they will say are normal, low and high. It really depends upon the kind of clientele that they normally see. It is most accurate to know testosterone levels by age and that is how most clinics do it. What are normal testosterone levels by age? What are high testosterone levels by age? What are low testosterone levels by age? When you check your levels with “HT Medical Center” you will be sure to get a safe and accurate reading. Our clinical advisors will set you up with an appointment at a local clinic in your home city. There, trained experts will take a small amount of your blood to test your testosterone levels. How do they do this? These results will be sent back to the clinic. 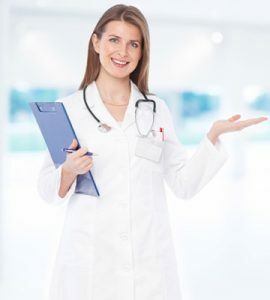 There, they will be carefully analyzed by our licensed doctors in order to get a diagnosis of low T. This is when formal testosterone replacement therapy can start and benefits can begin.